The Arkansas Supreme Court issued a per curiam last week entitled In Memory of Chief Justice James R. Hannah, in which the Court recognized Justice Hannah’s 37 years of service to the Arkansas Judiciary. I had the privilege and honor of starting my legal career at the Arkansas Supreme Court during the time when Chief Justice Hannah led the Court. Much has been written about how he was an accomplished jurist, and rightfully so. But, I was always most impressed by his gentle smile and soft voice with which he seemed to greet everyone he met. It’s no wonder he was such a remarkable leader who aspired for a system of justice where all people would receive the same level of treatment. “We have the best judicial system in the world. But if a person cannot walk through those courtroom doors because of their economic status or race, then having the best judicial system means absolutely nothing.” – Chief Justice Jim Hannah, June 2010. * Hat tip to Amy Dunn Johnson for sharing the above quote and link to the following video where Justice Hannah speaks about access to justice during his first “State of the Judiciary Address” at the 2010 annual meeting of the Arkansas Bar Association. Faulkner County Circuit Court Judge Mike Murphy announced this morning his plan to run for District 2, Position 2 of the Arkansas Court of Appeals on the March 1, 2016 election. Judge Murphy was elected to serve as the 1st Division of the Faulkner County Circuit Court in May of 2014. Prior to taking office for his elected position in January of 2015, Judge Murphy was appointed by Governor Mike Beebe to fill the vacancy left in the 2nd Division of the Faulkner County Circuit Court when the Arkansas Supreme Court removed Judge Mike Maggio from the bench last year. After completing Maggio’s term through December 31, 2014, Judge Murphy took office in his elected (and current) position as 1st Division Circuit Court Judge in Faulkner County. His term in that position expires on December 31, 2020. The Court of Appeals position that Judge Murphy is seeking is currently occupied by Governor Beebe appointee Cliff Hoofman. Judge Hoofman was appointed to that seat when Rhonda Wood was elected to the Arkansas Supreme Court and may not seek re-election to that position. 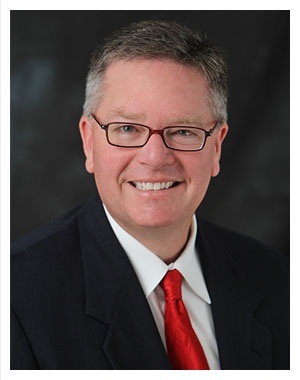 (Conway, Arkansas) — Circuit Judge Mike Murphy of Conway has announced his candidacy for the Arkansas Court of Appeals, District 2, Position 2 in the March 1, 2016 nonpartisan judicial elections. Murphy currently serves as the 1st Division circuit judge for the 20th Judicial District (Faulkner, Searcy and Van Buren counties). A Faulkner County native, Murphy opened a private law practice in 1988 and worked as a deputy prosecutor. 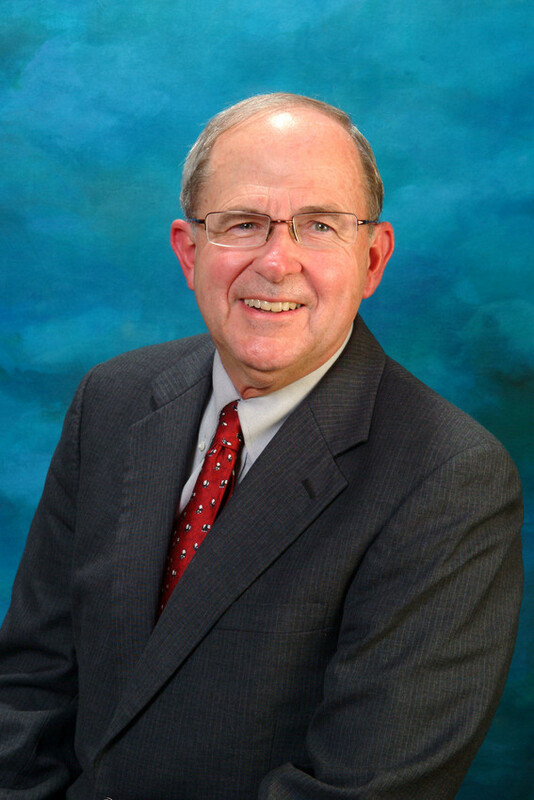 Elected as Conway’s city attorney in 1990, he served for over 22 years before being elected circuit judge. Murphy attended UCA and the University of Arkansas, receiving his law degree from the School of Law in Fayetteville in 1986. He also served as law clerk for the United States Magistrate Judge in Springfield, Missouri. Murphy was an adjunct instructor at UCA; member of the Arkansas Bar Association House of Delegates; a past-president of the Arkansas City Attorneys Association and former member of the Little Rock Air Force Base Community Council. He is a member of the Arkansas Judicial Council, the Arkansas and Faulkner County Bar Associations and serves on the boards of the Conway Public Schools Foundation and the Faulkner County Museum Commission. Murphy is the father of three teenagers and member of Conway’s First United Methodist Church. District 2 of the Court of Appeals is comprised of 18 counties, including Baxter, Boone, Cleburne, Conway, Faulkner, Fulton, Independence, Izard, Jackson, Lawrence, Marion, Newton, Pope, Randolph, Searcy, Sharp, Stone, and Van Buren. Earlier this month, Chief Justice Jim Hannah announced his plans to retire early from his position on the Arkansas Supreme Court due to health issues. Justice Hannah was first elected as an Associate Justice on the Arkansas Supreme Court in 2000 and later was elected to the Chief Justice position in 2004. The people of Arkansas elected me to our state’s highest court in year 2000. I will be forever grateful. It is with great pride and pleasure that I have served on the Arkansas Supreme Court for over fourteen years, the last ten in the role of Chief Justice. In recent weeks I have been challenged by a significant health issue. Having the utmost respect for my job as Chief Justice and the business of the court, I have made a decision to tender my resignation effective at the end of August 31, 2015 to focus full-time on addressing my immediate health condition. There is no greater honor that a person can receive than to have another person place his or her trust and confidence in you. I want to thank the people of Arkansas who placed their trust and confidence in me and allowed me to serve them on their Arkansas Supreme Court. I sincerely appreciate the excellent staff that has worked with me. I have been privileged to work with some of the best district court judges, circuit court judges, appellate court judges, and justices in the country. I have also been privileged to work with our excellent Administrative Office of the Courts, its leadership and dedicated employees. Lastly, thank you to my wife Pat for her sacrifice and support. Prior to his retirement, Justice Hannah was the longest-serving member of the Arkansas judiciary, having served as a judge for more than thirty-seven years. On Thursday of this week, Governor Asa Hutchinson appointed Professor Howard Brill to complete Chief Justice Hannah’s term on the Arkansas Supreme Court, which ends in 2016. Professor Brill is the Vincent Foster University Professor of Legal Ethics and Professional Responsibility at the University of Arkansas School of Law. He joined the law school in 1975. Among his many achievements, Professor Brill is widely known in Arkansas as the author of Arkansas Law of Damages, which is routinely cited by Arkansas state and federal courts. He has also authored Arkansas Professional and Judicial Ethics. Professor Brill has previously served as a Special Justice on the Arkansas Supreme Court on several occasions. In re Guardianship of S.H., 2012 Ark. 245, 409 S.W.3d 307 (“S.H. I“) and In re Guardianship of S.H., 2015 Ark. 75 (“S.H. II“) both address the rule that applies when a parent who originally consents to a guardianship later seeks to terminate the guardianship. In S.H. I (decided in 2012), the Arkansas Supreme Court set forth a two-step burden shifting analysis for determining whether to terminate a guardianship in such situations. In S.H. 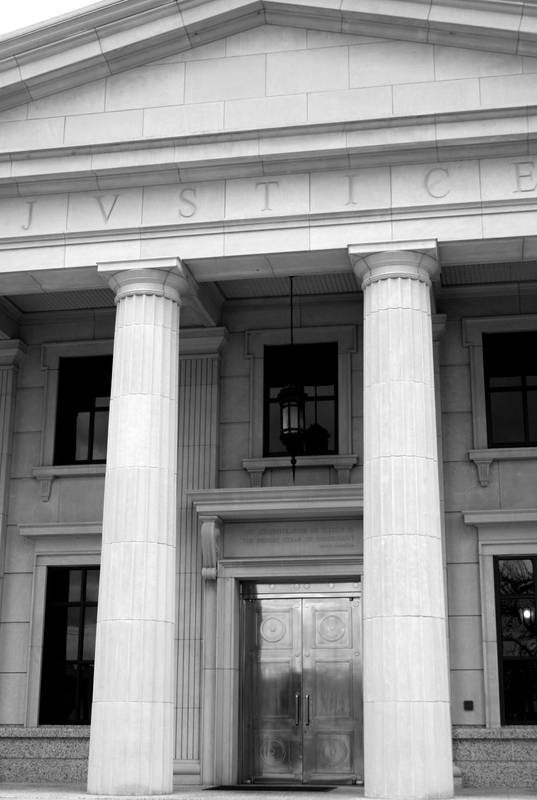 II (which was the second appeal of the same case, decided in February 2015), the Arkansas Supreme Court clarified the burdens of proof that apply to each step in the analysis. S.H. II was a split opinion, however, and for reasons that will be discussed in more detail below, there is some question as to which rule will apply in the future. Therefore, this blog post analyzes the rule from both the majority opinion (which technically appears to be a plurality opinion) and the concurring opinion, along with a note regarding which rule might apply in the future. SH II addresses situations where a parent consents to another person (typically a family member) serving as the guardian of his or her child, and then later that parent seeks to terminate that guardianship. This can arise in a number of circumstances, such as when a parent must leave the country to serve in the military (Witham v. Beck, 2013 Ark. App. 351) or when a parent is overcoming a drug problem (Crenshaw v. Crenshaw, 2012 Ark. App. 695). For many years, appellate courts in Arkansas had “equate[d] a petition to terminate a guardianship to a change of child custody among natural parents.” Smith v. Thomas, 373 Ark. 427, 432, 284 S.W.3d 476, 479 (2008). As a result, in order for a parent to terminate a guardianship, the parent was required to prove that there had been a material change in circumstances. Graham v. Matheny, 2009 Ark. 481, 6, 346 S.W.3d 273, 277 (2009). In Graham, the Arkansas Supreme Court recognized that “there is confusion regarding the standard to be used in termination-of-guardianship cases.” Id. at 14, 346 S.W.3d at 280-81. Therefore, the Arkansas Supreme Court took the opportunity to set forth five principles that apply in termination of guardianship cases. Perhaps the most significant of those principles was that “a change-of-custody analysis using the material-change-of-circumstances standard should not be done in termination-of-guardianship cases.” Id. at 15, 346 S.W.3d at 281. The Court in Graham noted that the guardianship statute, which provides that “[a] guardianship may be terminated by court order . . . [if] the guardianship is no longer necessary or for the best interest of the ward,” is a disjunctive test. See Ark. Code Ann. § 28-65-401(b)(3). Nevertheless, the Arkansas Supreme Court still held that even if there is evidence that a guardianship is no longer necessary, the best interests of the child must still be examined. The concurrence in Graham, written by Justice Hannah, joined by Justice Danielson, made the point that the statute is a disjunctive statate and argued that “[u]pon remand, the circuit court should be ordered to determine whether if for any reason, the guardianship is no longer necessary or for some other reason it is no longer in the best interest of [the ward] that the guardianship continue.” Graham, 2009 Ark. 481, at 19, 346 S.W.3d at 283 (Hannah, C.J., concurring). The concurrence, in a footnote, made one other point: That the parties had not raised the question of whether the guardianship statute as written violated parents’ constitutional rights to the custody and control of children. Id. at 18, 346 S.W.3d at 282 (Hannah, C.J., concurring). Specifically, the concurrence made reference to Troxel v. Granville, 530 U.S. 57, 120 Sup. Ct. 2054 (2000), in which the Arkansas Supreme Court had held in a grandparent visitation case that “there is a presumption that fit parents act in the best interests of their children.” The Arkansas Supreme Court had also recognized this principle in a grandparent visitation case, holding that “a fit parent is given a presumption that he or she is acting in a child’s best interests.” Linder v. Linder, 348 Ark. 322, 72 S.W.3d 841 (2002). Less than three years after the decision in Graham v. Metheny was handed down, the Arkansas Supreme Court would address head-on the issue of parental rights in the context of a termination of a consensual guardianship. In Strother v. Strother, 2015 Ark. App. 196, the Arkansas Court of Appeals recently held that a decree that “does not contain a final award of custody” is not an appealable order. A review of Strother, along with several other cases on this topic, reveals that the line between a final custody order and a temporary custody order is not always clear, so attorneys should be cautious before choosing not to appeal from what might appear to be a temporary custody order. In Strother, the dad and mom had married in 2001, and the mom had filed for divorce in 2013. In her complaint for divorce, the mom sought joint legal custody, with her having primary physical custody. The court appointed an attorney ad litem, and eventually held a hearing “on the divorce and custody issues.” The court then issued a letter opinion in which it granted the couple joint legal custody, and granted the mom primary physical custody. [T]his court finds that the aforesaid orders of this court in regards [to] custody and other issues concerning the aforesaid two (2) minor children are temporary in nature; that an attorney ad litem will be appointed to represent the aforesaid two (2) minor children; that Defendant shall be solely responsible for payment of all attorney fees and expenses which will [be] owed to the attorney ad litem; and that issues concerning permanent orders in regard [to] custody and other issues concerning the aforesaid two (2) minor children will be determined in the future by agreement of the parties or by order of the court. The Court of Appeals in this case examined whether this was an appealable order. Rule 2(d) of the Arkansas Rules of Appellate Procedure–Civil provides that “[a]ll final orders awarding custody are final appealable orders.” In other words, even if an order granting divorce isn’t otherwise considered a final order, if the order is final with respect to custody, then it will be final for purposes of appealing the custody determination. In Strother, the Court of Appeals held that the order was not a “final order awarding custody.” The Court of Appeals noted that “the order specifically states that issues of custody ‘are temporary in nature’ and that ‘issues concerning permanent orders in regard [to] custody . . . will be determined in the future. '” Therefore, the Court of Appeals dismissed the appeal until a final custody award is entered. I signed an Ex Parte Order a few days ago which placed the temporary custody in the Plaintiff, the father. I really don’t know where this child is better off long term. I guess that’s something that is going to have to be resolved at a later date. I presume both of these parties want long term custody of this child. I may or may not be right about that. In the meantime I’m going to leave the Ex Parte Order in effect; however, the child shall spend each weekend with his mother beginning 6:00 p.m. on Friday and ending on 6:00 p.m. on Sunday. And when counsel and the parties are ready for this case to be heard in its entirety on its merits thoroughly by myself or somebody, probably somebody else, and hopefully make the right decision on where this child should grow up, then that’s what will happen. This seems to be consistent with previous cases cited by the Arkansas Supreme Court in Gilbert. Although those cases predate the addition of “final orders awarding custody” to the list of appealable orders (that amendment was adopted in 1999), the holdings are still informative. In those three cases, the key issue seems to whether there has been a final hearing on the merits. In Sandlin v. Sandlin, for example, the Arkansas Supreme Court held that the order in that case was not appealable because “the main issue, that of custody,” had not been decided. 290 Ark. 366, 719 S.W.2d 433 (1986). The Arkansas Supreme Court noted that it had previously held that “there can be no appeal . . . until the proof has been completed and the order entered.” Similarly, in Jones v. Jones, the Arkansas Court of Appeals held that a custody order “is final for purposes of appeal if the the issue of custody was decided on the merits and the parties have completed their proof.” 41 Ark. App. 146, 852 S.W.2d 325 (1993). The record reflects that appellant has not yet completed her proof. The order in the present case did not terminate any cause or right, dismiss any party from the action or conclude their rights. By its very terms it is a temporary order. The court ordered an investigation of the respective homes and ordered that a report be made to the court. It is obvious the court did not intend to take final action on this matter based solely upon the fact that the mother may be living in adultery. This brings us back to Strother. In that case, it appears that there had, in fact, been a hearing on the merits. The order, however, appears to have left custody open until an attorney ad litem could be appointed and could report back to the court. In that sense, the issue of custody was still open. Based on these cases, attorneys should never assume that a custody order is temporary based solely on the fact that the order is styled as a “temporary” order. These cases make clear that there’s more to the analysis than simply what the order is styled. Sometimes, it might not be entirely clear to counsel whether or not a custody order constitutes a “final order awarding custody.” In those situations, the best course of action is probably to file a notice of appeal as a precaution. Otherwise, the attorney risks allowing what appears to be a temporary order become a permanent, nonappealable order. Any attorney who has spent much time practicing in court knows that many arguments and rulings are made in chambers (and off the record). The question, then, is how to preserve arguments made in chambers. The Arkansas Supreme Court’s recent decision in Arkansas Realtors Association v. Real Forms, LLC provides some guidance. 2014 Ark. 385. Although the opinion does not include a definitive method to preserve such arguments, the takeaway is that attorneys must find a way to make the argument on the record. The facts of Arkansas Realtors Association are a bit complicated and have been simplified for purposes of this blog post. In sum, the Arkansas Realtors Association (“ARA”) had been in a long-term contract with Robert Bodily to create desktop software that allowed ARA members to draft contracts electronically. The ARA later entered into a contract with Real Forms, LLC (technically, it was a predecessor company) to create an online version of the software. The two programs were apparently not compatible, so the ARA ultimately entered into a contract with Real Forms, LLC (“Real Forms”) to create both a desktop version and an online version of the software. A number of disputes arose between the ARA and Real Forms, including disputes about the time of delivery, whether the software met the ARA’s needs, and regarding the fact that Real Forms had not obtained errors & omissions (E & O) insurance as required by the contract. The ARA ultimately sent a notice of termination to Real Forms. Real Forms sued the ARA, and the ARA filed a counterclaim. The jury ultimately returned a verdict in favor of Real Forms for $150,000. The ARA raised several points in its appeal, but for purposes of this blog post, the relevant point that was raised related to the ARA’s motions in limine. Prior to trial, Real Forms filed two motions in limine (one to exclude lay-witness opinion testimony regarding whether the software was flawed, and another to exclude evidence of insurance), and the ARA filed three motions in limine (one to exclude evidence of Bodily’s contract with the ARA, one to exclude the interpretation of contract terms by a software development expert witness, and one to exclude evidence of the number of hours worked by the owners of Real Form. On the first day of trial, the court held an off-the-record hearing in chambers regarding the motions in limine. After returning from chambers, the court ruled on-the-record regarding the insurance motion in limine, but did not make any reference to any of the four remaining motions in limine at that time. On appeal, the ARA argued that the circuit court had erred by not making a record prior to trial regarding the motions in limine. The ARA relied on Administrative Order No. 4, which provides that, “[u]nless waived on the record by the parties, it shall be the duty of any circuit court to require that a verbatim record be made of all proceedings . . . pertaining to any contested matter before the court or the jury.” The Arkansas Supreme Court has previously held that this rule is “mandatory,” and that a party’s silence on this issue does not constitute an implied waiver of this requirement. Thompson v. Guthrie, 373 Ark. 443, 447, 284 S.W.3d 455, 457 (2008), George v. State, 356 Ark. 345, 151 S.W.3d 770 (2004). 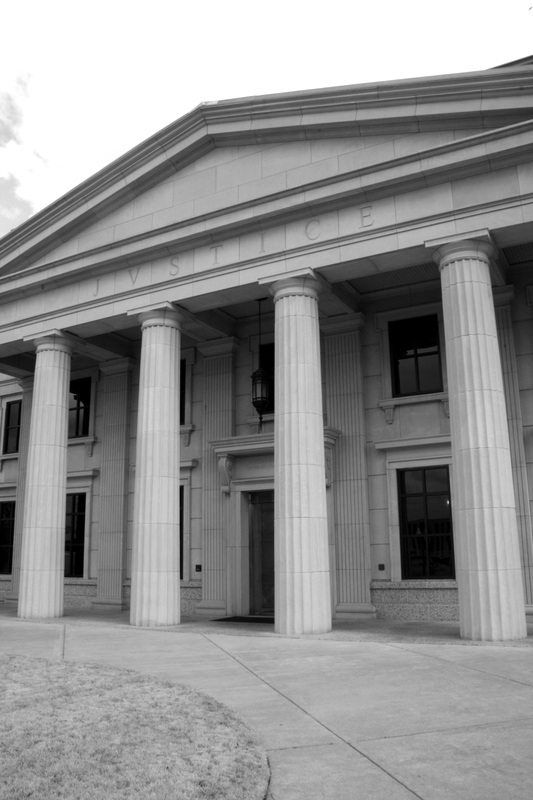 The Arkansas Supreme Court has also held, however, that the burden of bringing up a record sufficient to demonstrate error rests with the appellant. Hankins v. Dep’t of Fin. & Admin., 330 Ark. 492, 954 S.W.2d 259 (1997). In this case, the Arkansas Supreme Court rejected the ARA’s argument that the case should be remanded to complete the record, holding that the ARA had not been prejudiced by the off-the-record discussion. In reaching its conclusion, the Arkansas Supreme Court looked at each of the ARA’s three motions in limine individually. With respect to the first motion in limine (to exclude evidence of Bodily’s contract with the ARA), there had been a sidebar (apparently on the record) regarding the Bodily contract and what counsel could and could not ask during testimony regarding that contract. With respect to the second motion in limine (to exclude testimony from the software expert regarding contract terms), the circuit court had actually sustained the ARA’s objection to such testimony during that expert’s testimony. With respect to the third motion in limine (to exclude the number of hours worked by the owners of the company), the ARA had never objected during trial when testimony was given on this point. There are a few points worth making in light of this opinion. First, off-the-record discussions are quite commonplace, so the question is how to preserve the issue. In light of this opinion, it appears that even if a motion in limine has been filed and denied, counsel must object on-the-record once the evidence sought to be excluded is admitted. Although there would appear to be instances in which the Arkansas Supreme Court might remand a case to require the record to be completed in similar circumstances (the Arkansas Supreme Court appears to have limited the holding in this case to “these specific circumstances”), if the issue is important enough, an on-the-record objection is vital to preserving the issue. That leads to the second point, which is that this decision to object has to be balanced against the negatives of objecting (namely, irritating the jury). In this case, it appears that counsel did not consider the testimony in question to be vital to the case (this particular point was the fourth of four points on appeal in the ARA’s brief, and took up about 2 of the brief’s 30 pages). Therefore, the decision not to object was quite possibly a strategic decision in this five-day jury trial. If, however, a ruling in chambers is more important to a case, counsel should make every effort to make an objection on the record and to obtain a ruling on the record. In Bank of the Ozarks v. Cossey, 2014 Ark. App. 581, the Arkansas Court of Appeals addressed the question of whether an order that appears to be a non-final order is still appealable under Ark. R. App. P. (2)(a)(12), which permits an appeal from almost all orders entered in probate cases. Only a brief summary of the facts of this case is necessary. In sum, there was a dispute about who was the trustee of the Hamilton Family Trust. One of the beneficiaries of the trust, Ms. Cossey, filed a petition claiming that Bank of the Ozarks was the trustee and demanding an accounting from Bank of the Ozarks. Bank of the Ozarks claimed it was not the trustee of the trust. The circuit court held that Bank of the Ozarks had acted as trustee, and ordered Bank of the Ozarks to perform an accounting within 30 days. Bank of the Ozarks appealed from this order, along with a separate order awarding attorney’s fees and costs to Ms. Cossey. On appeal, the Court of Appeals first addressed the question of whether the order requiring an accounting was a final order. The court held that “[a]n order that contemplates further action by a party or the court is not a final, appealable order.” Because this order required Bank of the Ozarks to perform an accounting, and because there would likely be additional oversight and rulings by the circuit court, the Court of Appeals held that this was not a final order. The Court of Appeals then turned its attention to Ark. R. App. P. (2)(a)(12) and Ark. Code Ann. § 28-1-116, which together permit appeals from almost all orders in probate cases. In fact, the Court of Appeals held that “[w]e have interpreted section 28-1-116(a) to allow an immediate appeal from almost any probate order.” However, the issue in this case related to who should be the trustee of the Hamilton Family Trust, a question governed by Ark. Code Ann. § 28-73-701. The question, then, is whether this statute is part of the probate code. Based on the notes to Ark. Code Ann. § 28-1-101, which lists the statutes that make up the probate code, the Arkansas Court of Appeals held that the statute applicable to this case (which was not included in the list) was not part of the Arkansas Probate Code. The Court of Appeals also examined Ark. Code Ann. § 28-1-104, which lists the types of cases that are considered to be probate cases. Although this statute was originally designed to set the jurisdictional guidelines when there were separate circuit, chancery, and probate courts, the Court of Appeals held that the statute is still applicable when determining appellate jurisdiction. Because trust matters are not included in the list of matters considered to be probate matters, the Court of Appeals held that the issues in Bank of the Ozarks were not probate matters. Having concluded that the trust dispute in Bank of the Ozarks was not a probate matter, a final order was required. Because there was no final order, the Court of Appeals dismissed the appeal. The Court did, however, give some guidance to the parties as to how to proceed. The Court suggested in its opinion that a Rule 54(b) certificate (pursuant to which the parties may appeal from a non-final order) might allow the order to become appealable, although the Court of Appeals was very careful not to “comment on the propriety of a Rule 54(b) certificate . . .” Nevertheless, it’s probably a safe bet that this case will soon be before the Court of Appeals again—this time with a Rule 54(b) certificate.